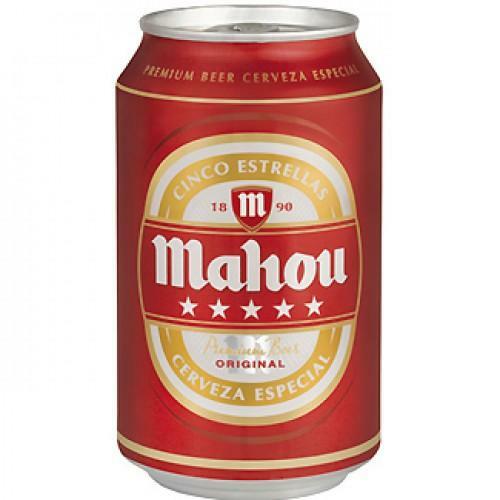 The lager Mahou Cinco Estrellas (Can) (£0.62) is produced by Grupo Mahou - San Miguel with its origins in Spain made with cool fermenting and shows an alcoholic strength of 5.5%. 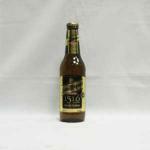 At Uvinum, users evaluate the Mahou Cinco Estrellas (Can) with an average score of 4,6 points out of 5. 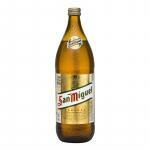 First launched in 1969 this Spanish beer oustands with its golden colour and its characteristic taste. 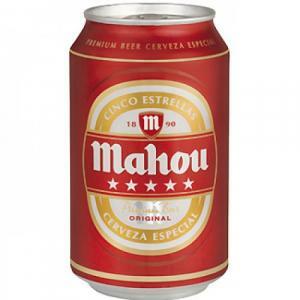 Mahou Cinco Estrellas (Can) is elaborated from the best varieties of hop and yeast, destined to convince demanding palates. 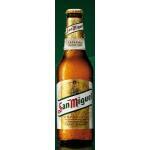 If you want to buy Mahou Cinco Estrellas (Can), at Uvinum you will find the best prices for Spain Lager Beer. Get it at the best price at Uvinum, comfortable, quick and safe. We're the only site in Europe with more than 59.000 products for sale and we are the leaders in sales of wine, beer, and spirits in Europe thanks to more than 38.000 customers who shop at Uvinum.